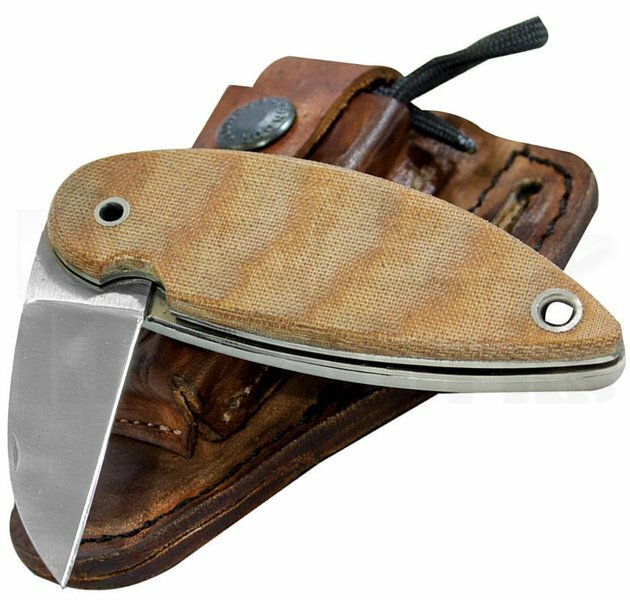 The Condor Tool & Knife Primitive Bush Folder features a hand finished 2.25" polished 1075 high carbon steel blade. The Micarta handle scale enhances both the look and function of this knife while delivering un-matched performance. The aluminum handle scale features an indentation for a bow drill socket and 36" of 550 para-cord to use with your bow drill. The knife comes outfitted with a high quality handcrafted leather sheath. Stop spamming is sales threads..